Alin Le Kal’s decade of experience with textiles along with his education at RMIT University, Melbourne proved invaluable. He developed a skill using fabrics. His feminine looks, using intricate crystals and feathers for his Spring Couture collection titled “Reflected Elements” showcased his love for the female form. The runway show set in the ball room of the Le Grand Hotel, Paris, proved fitting, a perfect place for grand entrances. The Peach feathered dress is Breathtaking. 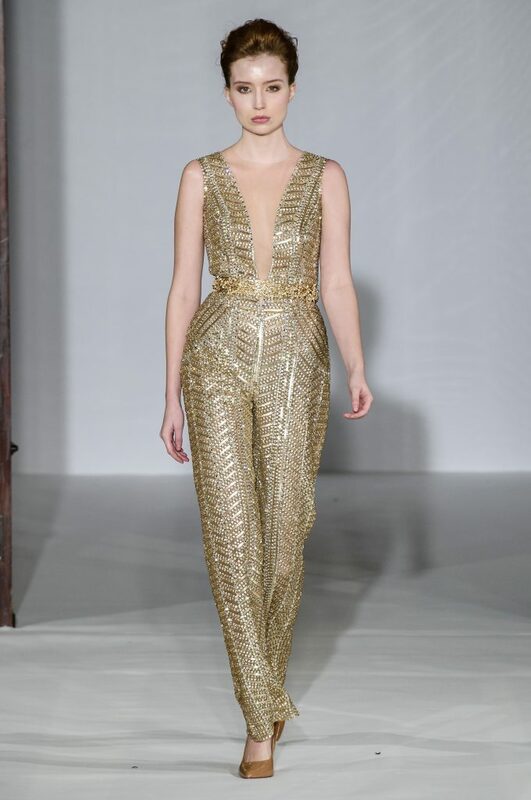 Separator image Posted in Fashion and tagged with alin le kal, Couture, fashion report, Fashion Week, le grand hotel, luxury fashion, Paris, Paris Fashion Week, womensfashion, womenslooks.